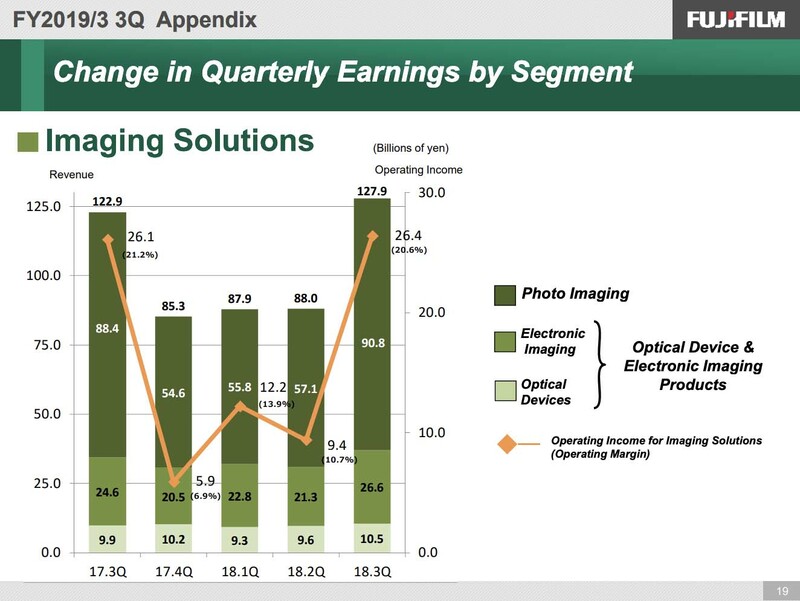 In the photo imaging business, sales were strong for instant photo systems such as the instax series and instax films. 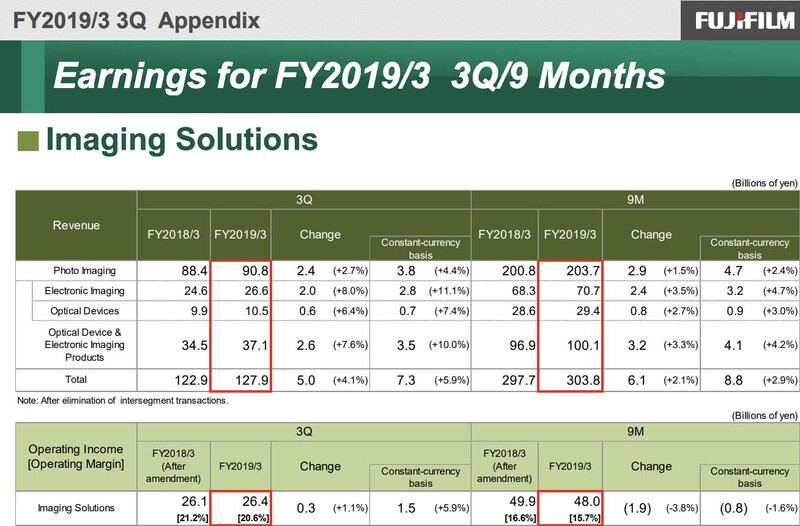 The sales volume of the instax series totaled 8.5 million units in the 9 months of this fiscal year. instax SQUARE SQ20, the new hybrid instant camera capable of editing images before printing, and a global promotion featuring Taylor Swift, instax’s global partner, contributed to the sales increase. 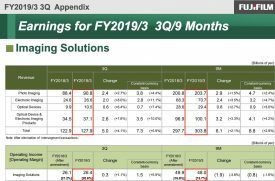 In the optical device business, sales maintained solid for various industrial use lenses such as vehicle- mounted lenses. In October 2018, we announced the launch of ultra-high resolution lenses for machine vision cameras and the new entry into the surveillance camera market, targeting further business growth by the expansion of business fields. 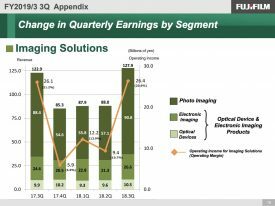 In the Imaging Solutions segment, revenue increased due to solid sales in each business, while operating income decreased due to such factors as advertising and promotion costs and R&D investment for next generation products to achieve further sales expansion. 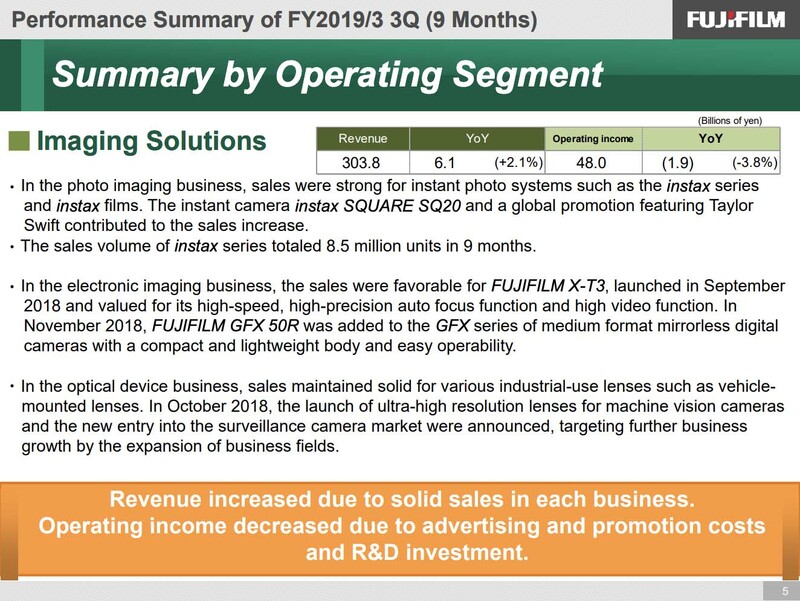 This entry was posted in Press releases and tagged Financial, Financial Report, financial results, Fuji Rumors, Fujifilm, Fujifilm Rumors, FujifilmRumors, Fujirumors. Bookmark the permalink. Trackbacks are closed, but you can post a comment.